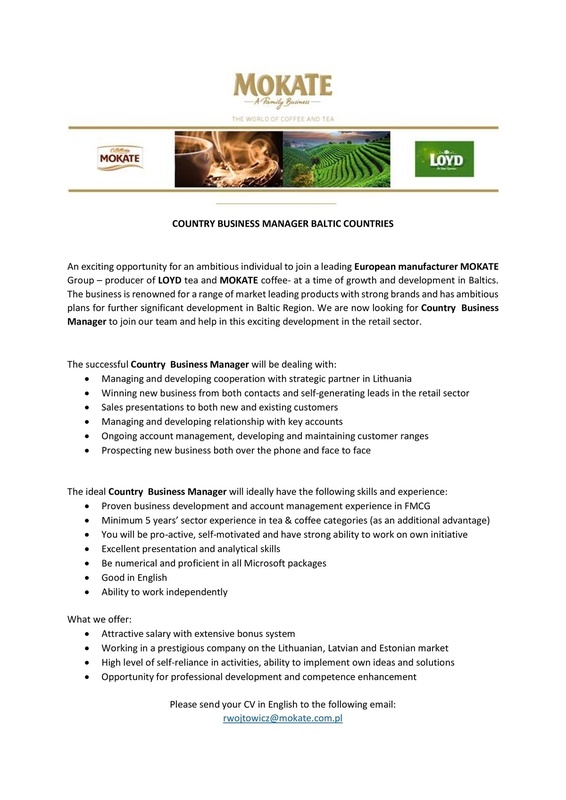 An exciting opportunity for an ambitious individual to join a leading European manufacturer MOKATE Group – producer of LOYD tea and MOKATE coffee- at a time of growth and development in Baltics. The business is renowned for a range of market leading products with strong brands and has ambitious plans for further significant development in Baltic Region. We are now looking for Country Business Manager to join our team and help in this exciting development in the retail sector. nuo 3000 iki 4000 EUR per mėn.